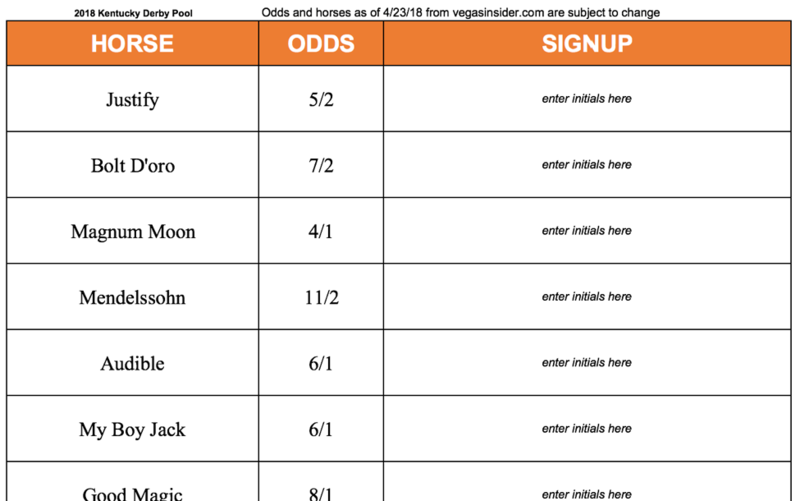 Create a board with a list of all the horses slated to race in the Kentucky Derby (this could be done for the Preakness or any other race too). Have all of the pool participants sign their name by the horse that they believe will win. Everybody antes the same amount of money and whoever selected the winning horse divvies up pot. If 9 out of the 10 participants select the favored horse, and she wins, they will have to split the winnings 9 ways, but if the person that selected the underdog wins they get the proceeds to themselves. The 2018 Kentucky Derby is on Saturday, May 5th shortly after 6:30 P.M. ET. Here are the odds to Win 2018 Kentucky Derby at Churchill Downs from VegasInsider.com as of April 23, 2018. These odds, and horses, are subject to and will likely change before the derby. Be sure to check fresh odds the day of the race. If you are interested in using the excel template below signup by entering your email below and we’ll send it to you. Here is a photo of my board from a previous Kentucky Derby. 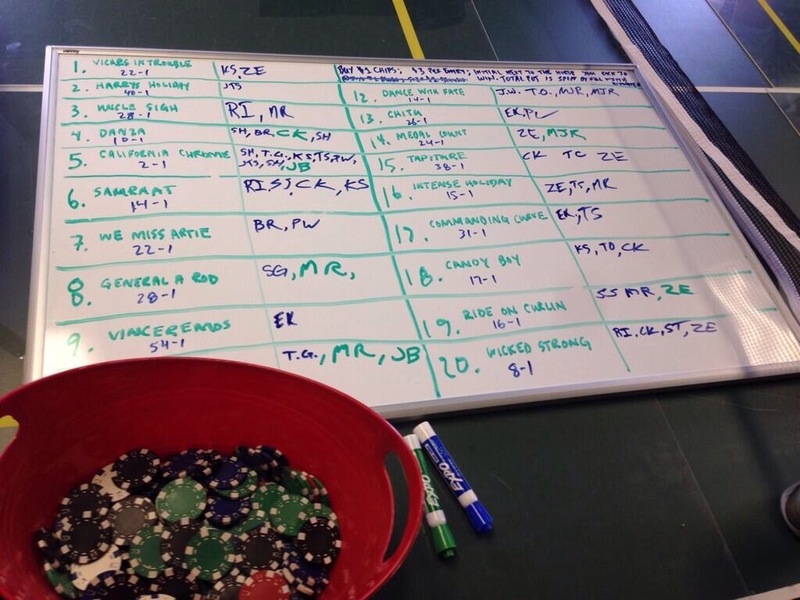 I was at a Kentucky Derby party (which I highly recommended hosting or attending) so we used a whiteboard instead of a spreadsheet. Notice that you can put your initials on more than one horse, and you can also initial the same horse more than once. Oh yeah … I won, which never happens!